Keep up to date with the latest events at Georgina Scott Bridal by visiting this page frequently. We often hold Trunk Shows & Preview Events here at Georgina Scott Bridal & they are not to be missed! A Trunk Show is where a designer gives us a selection of their wedding dresses from their brand new collection for us to have in our store over the space of one weekend. These are dresses we don’t already hold samples of in our boutique, so they will be brand new designs for our brides to try on. A Preview Event is extra special & VERY SECRET!! This is when we are chosen exclusively by a designer to showcase their wedding dresses from next year’s collection. These dresses will never have been seen by the public before and will not be seen again for a long time! Over the space of a weekend, our brides will be the very first to see, try & to buy these wedding dresses and even have the opportunity to speak to the designer or a representative who will come onto our store for the preview event. 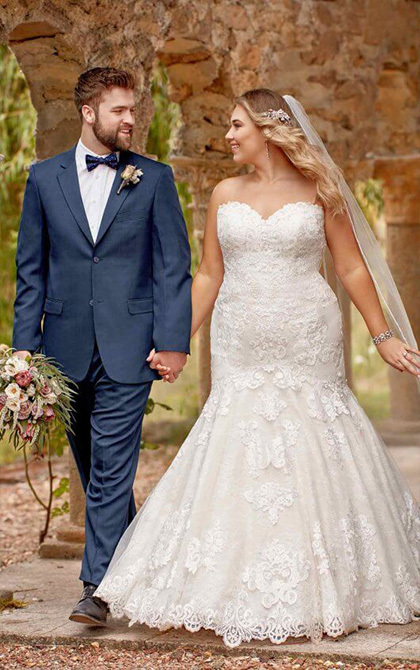 As these wedding dresses haven’t gone into production yet, it also gives our brides the opportunity to change the design of a preview event wedding dress should they go on to purchase one. Meaning they could have their very own unique designer wedding dress! Our Trunk Show & Preview Events are VERY popular & get booked up weeks & months in advance. We have 3 Private dressing rooms so we can accommodate a large number of brides but we would recommend booking an appointment for our events in advance to avoid disappointment. Call us on 01384 893656 or use the Book Now button to book an appointment.